The song Emeli Sande - Sparrow is professional recreation. It is not by the original artist. Breathing Underwater Emeli Sande Your browser does not support the audio tag. Clown Emeli Sandé Your browser does not support the audio tag. My Kind of Love Emeli Sandé Your browser does not support the audio tag. 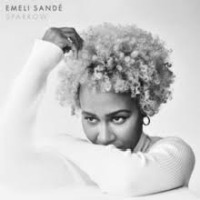 Sparrow Emeli Sande Your browser does not support the audio tag. Where I Sleep Emeli Sandé Your browser does not support the audio tag.